Flight attendant Taylor Tippett recently made headlines for making her passengers’ travels a little brighter. Her method of cheering people up? She leaves uplifting notes on airplane windows and in safety cards, and encourages others to do the same. To date, the practice has earned her more than 120,000 followers on Instagram and cheered up countless passengers. These small acts of kindness are particularly remarkable when you consider everything that flight attendants juggle on a daily basis — from helping people board, to working tough hours, dealing with jet lag, practicing for emergency scenarios, and handling the needs of hundreds of passengers. So it should come as no surprise that when it comes to ensuring a smoother, kinder flight, one of the best things you can do is get on your flight attendant’s good side. Regardless of whether you have the middle seat on a cheap flight or a front row perch in first class, here’s how to ensure peaceful coexistence with the attendant nearest you. How would you like it if you said “hello” to 40 people in a row and not one of them responded back? 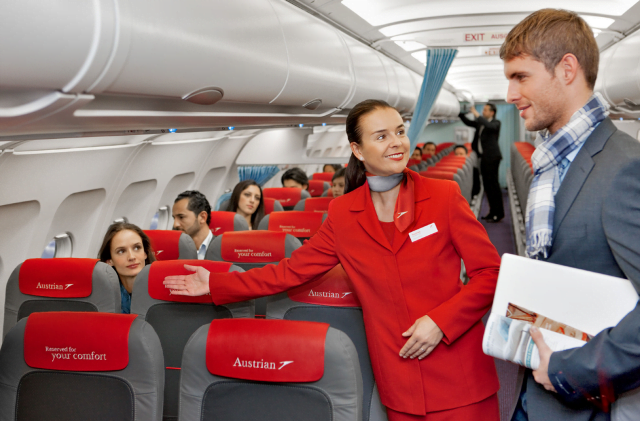 Simply acknowledging the presence of flight attendants in a friendly and respectful way can help set the tone for a pleasant interaction and maybe even brighten their day. If you can’t lift your carry-on bag over your head in order to stow it, then it’s best to check it. Don’t expect a flight attendant to hoist the bag for you, thereby putting their own body at risk of injury. In fact, many airlines train their flight attendants not to lift bags in order to prevent injuries on the job. So either learn how to pack light enough that you can go it alone, or pay the checked baggage fee. And if you do stow luggage in the overhead bin, be sure to pack it wheels-in. It’s unreasonable to expect a flight attendant to anticipate and accommodate every single one of your individual needs, so come prepared. If you know that you’ll need to take a pill immediately after boarding, for example, then it’s probably a good idea to bring your own bottle of water, since flight attendants are especially busy prior to take-off. If you’ll need a meal that accommodates your fish allergy, be sure to order it ahead of time and notify the flight attendant as you board. And if you know you’ll want your book during the flight, don’t pack it in your main carry-on; instead, keep it on your person so you don’t have to fumble through the overhead luggage bin during the flight. Yes, this even includes the safety demo. If you fly often, it can be especially tempting to tune out. But announcements happen for a reason — they’re designed to keep everyone informed and safe, and telling the whole cabin all at once spares the flight attendant from having to repeat themselves over and over. So even if you think you’ve heard it all before, it’s helpful to sit up and take notice. When asking for a beverage, clarify your order from the get-go, e.g. “Club soda without ice and with a slice of lime, please.” Being as clear-cut as possible will spare the flight attendant from needing to re-make your order. And for goodness’ sake, take out your headphones while conversing with the attendant. If you’re traveling with children, it’s critical to come prepared. Don’t expect flight attendants to supply toys, diapers, or changing wipes, and never ask a flight attendant to collect a dirty diaper without bagging it first. You’re just as responsible for your children on the plane as you are off of it. telling their employers what a great job they did. 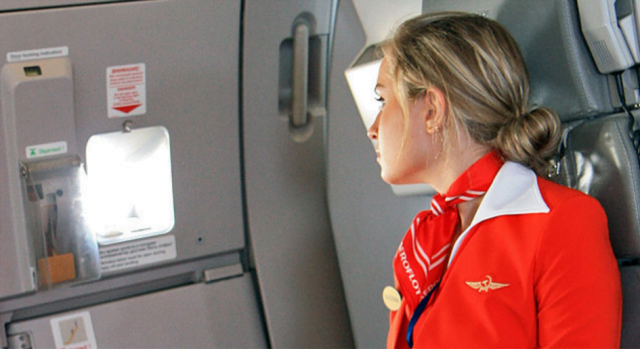 Most airlines have a protocol for acknowledging flight attendants; simply ask the attendant for their employee number and the flight number and call the airline after touching down. What’s it all boil down to? 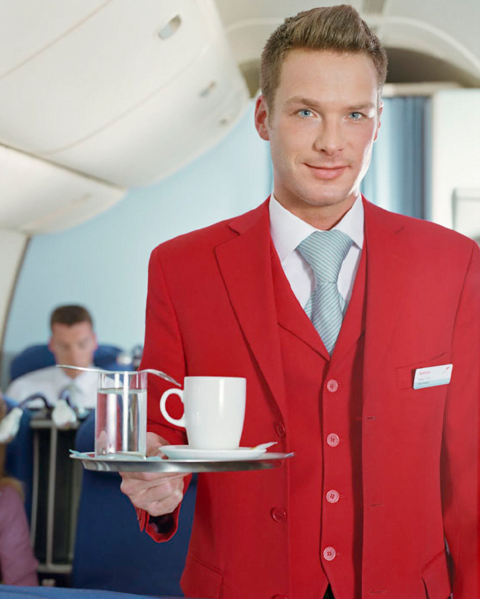 Simply remember that flight attendants are human, too, and treat them as you’d like to be treated.